Thanks to 3D printing technologies we can now watch a robot dancing like the king of pop-music himself – Michael Jackson. A Spanish company BQ produces a wide range of middle-ranged smart-phones, e-book readers and tablets. The company also turns out to be the second largest to produce smart-phones in Spain. BQ has recently produced a robot kit for kids, which appeared as a result of CEO’s passion for encouraging future generations of engineers. Alberto Mendez hopes that robotic technologies are likely to influence kids and turn them to careers focused on STEM. He also used his position as CEO of the Spanish company to create the sub-$100 kits, which include a wide range of electronic constituents so as to let training engineers create their own customized robot designs. 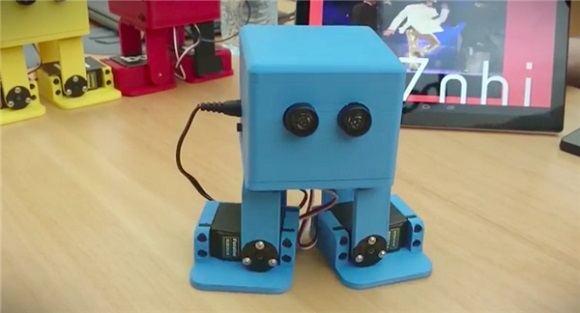 As a large number of robots being produced some part of know-how software, Mendez together with his company managed to deal with this task by developing simple D&D interface so as to make it easier for children to get up and run with the designs of the robot. Probably the most interesting fact about the robot kit is still that they are created to make it possible place the required hardware features designs, which can be 3D printed. It is still not clear whether the company will suggest a pre-made library of 3D models like it was with Thingiverse and MakerBot and other sources for sharing 3D files. Such a feature suggests a wider range of opportunities for young designers and engineers interested in how to apply robotics in the real world. The project resembles other open source projects for software and hardware that have recently crept the world of 3D printing. Mendez hopes that the robotics kit will make mechanical engineering and programming more interesting for those who are absorbed in those skills. Such a step – to include all that into one kit – will also make it easier for children to choose the right way. 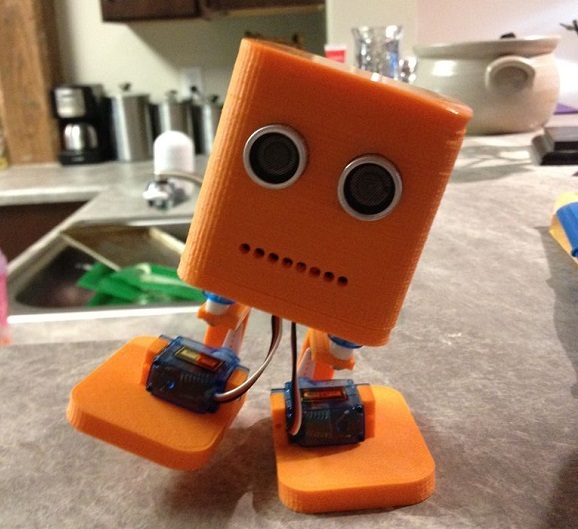 There are lots of open source robotic projects available on the Internet for free, but they may sometimes need several parts that should be ordered from different sellers. 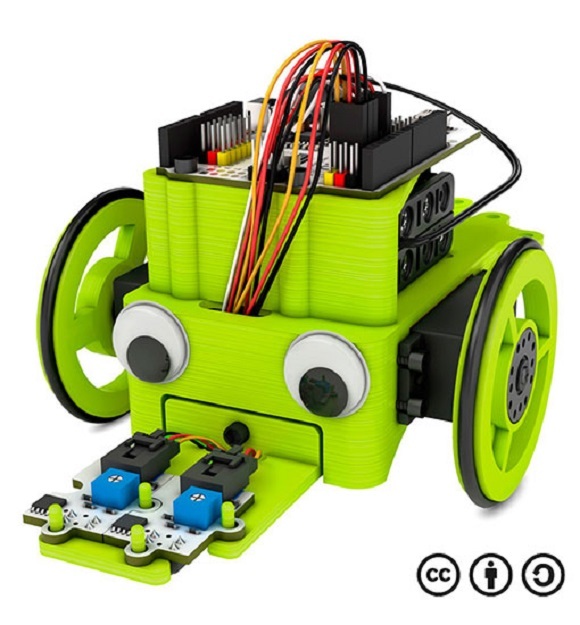 Having included everything necessary into a single unit, you may get everything you need to start just with one purchase and produce your own dancing and walking robot. If you remember, Radio Shack (a US hobby shop) became a popular name after they sold all-in-one kits for various electronic projects from calculators to HAM radio. The overall interest in the older kits has reduced with time, but BQ hopes that their robot kit will remain on top and inspire new enthusiasts take up doing electronic projects at home. Mendez suggests that the kits appear on the market in the next two or three months; the prices will be established between 80 to 90 Euros ($90 and $100). 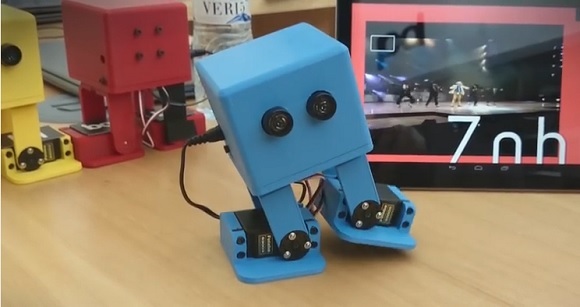 If you still haven’t learnt to dance the way Michael Jackson did it, try to produce a robot of your own.